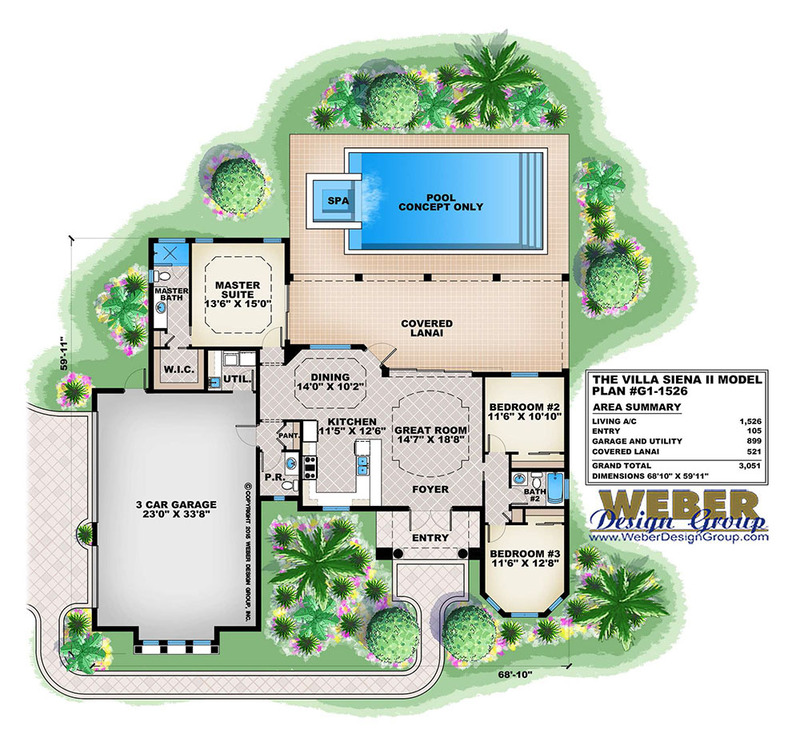 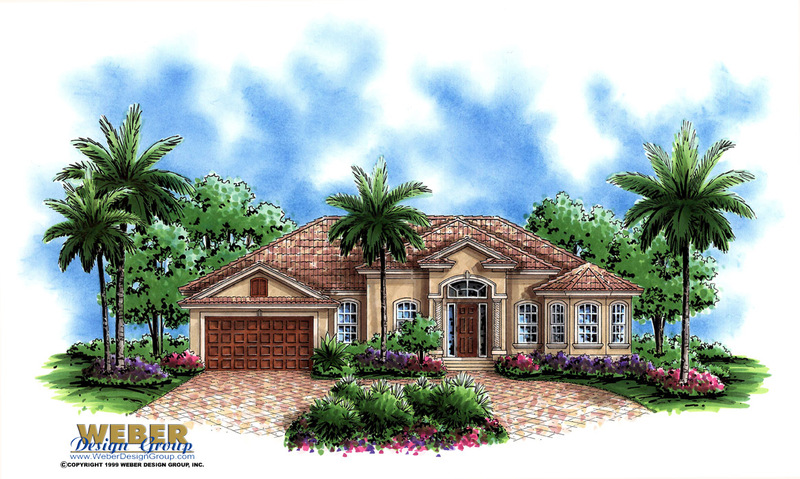 A smaller takeoff of the Villa Siena Model, this Caribbean beach house plan also features a great room layout creating an easy living open floor plan for all to enjoy. 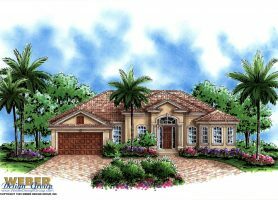 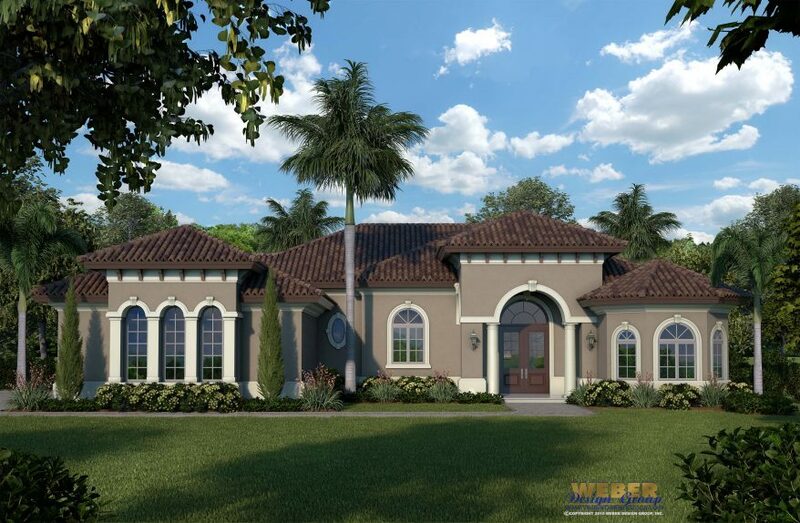 A traditional cottage style floor plan with 3 bedrooms and 2.5 baths, the Villa Siena II house plan offers an oversized 3 car garage and a Mediterranean facade composed of a stucco finish, large round columns, and archtop windows. 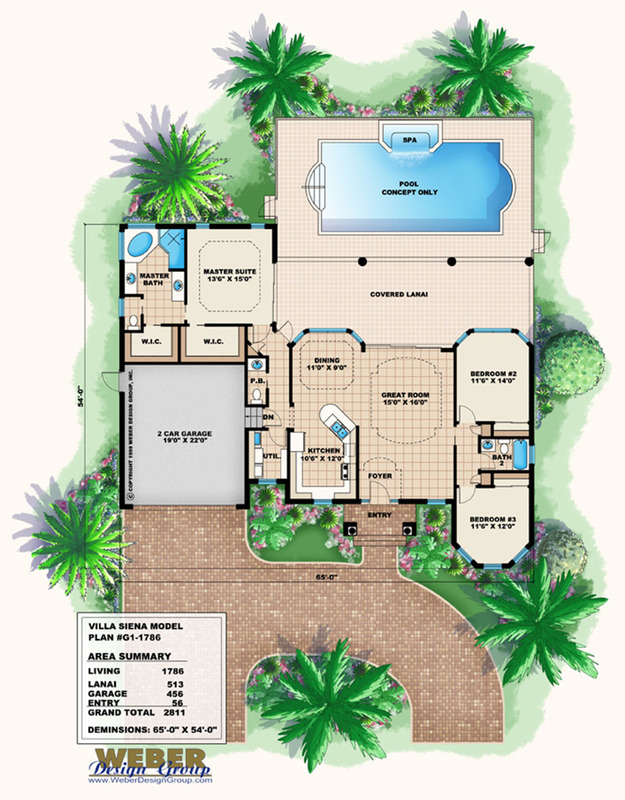 Ceiling Height: 12' 8" - 13' 8"